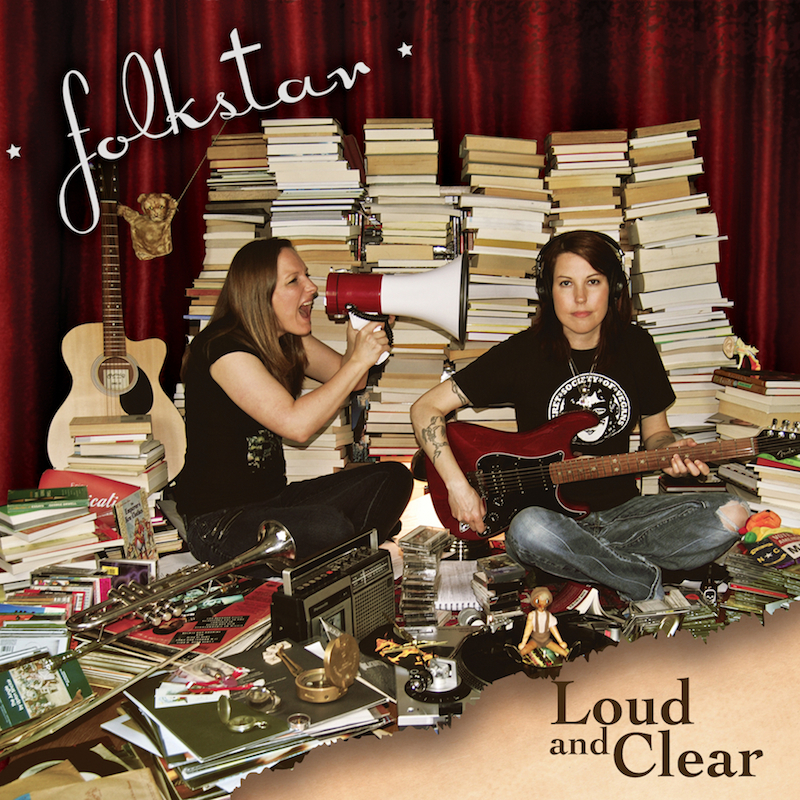 Wondering how we shot the album cover for Loud and Clear? We get a lot of questions about the Loud and Clear album cover. Our friends and fans hold it up close in order to examine all of the items in the collage. Some spot items that we didn’t think anyone would notice, such as the book The Jungle by Upton Sinclair. Almost everyone’s eyes light up when they see the old tape player (a actual relic from Sue’s youth) and a pile of cassette tapes in the photo! Some folks figure out the meaning behind the megaphone. They can see our complexity and seriousness right along with our humor and fun. The days of awesome album covers that you pore over and examine endlessly are not gone. Even vinyl sales are surging. Take a look around. Every single item for the cover was carefully placed. Every item has something to do with a song on the album. It may take a while to figure it out, but probably not hardly as long as it took to set up. Here’s a super fast 30 second time lapse video showing the initial setup of the collage photo shoot. Enjoy!